We are a grant- and donor-funded non-profit that serves ten counties of Eastern Oregon, advocating for artists, fostering creative expression, and supporting arts education. We need engaged citizens like you to help us make that happen. Generosity comes in many forms. We appreciate and honor all donations we receive - large or small - and we see community-oriented giving as a sum greater than its parts. As we work to bring more arts opportunities into the community and support those that are already here, we empower your donation to become the best it can be. We have several giving campaigns outlined below to give you an idea of what our greatest needs are, though we always accept open donations of any amount. See the bottom of the page to make a one-time or recurring donation that supports our general fund. All donations to Art Center East are eligible for a tax deduction. We are a 501 (c) 3 non-profit organization headquartered in La Grande, OR. Help ACE Grow with Our Special Campaigns! You loved the Taiko drumming and Ballet Folklorico performances that Art Center East hosted at Max Square this past summer. Help us bring more cultural dance and musical groups to town by supporting a summer performance series. Have you enjoyed learning about ceramics in our cozy studio, or do you hope to dive into the world of pottery soon? Help us as we begin the process of replacing our old pottery wheels one by one. We plan to purchase one new wheel each year. As we acquire professional-quality electric wheels, it will not only make your pottery classes more fun, it will create an opportunity to lease studio space to artists, growing the availability of locally made ceramics and providing a new revenue stream for the art center. Now that's progress. You love strolling the gallery exhibits and enjoy festive events like last week's Handmade Holidays, but wouldn't they be even lovelier if the windows were clean? Help pamper your favorite art center with a professional window washing. With around 50 windows (front & back) to wash, that's only $10 a window. Not a bad price for spa treatment! Donation amounts are suggestions only - your gift can be any amount you choose. Art Center East is a 501(c)3 non-profit. All donations are tax-deductible. Don't delay! These giving campaigns end soon. Be an art (supply) super hero! We are always in need of art supplies - and super heroes to help us purchase them! Art Center East uses supplies for our diverse set of class offerings, as well as the following: our annual Arts for All community art-making festival, weekly art classes for at-risk youth in partnership with the Union County Juvenile Department (our part of the partnership is to provide a facility and supplies), our Art at the Market booth at the La Grande Farmers Market, and other community events. Consider a memorial gift to Art Center East in honor of someone whose life was inspired, comforted, or transformed by the arts. Memorial gifts honor the life of your loved one by keeping their passion alive, and passing it on. It is up to you how your memorial gift is made. If you would like to include with your gift a statement or story about how the arts touched the life of your loved one, we encourage you to do so. Please confirm whether we have your permission to share that statement with the Art Center East community when we honor our donors in various ways. Memorial gifts may also be made anonymously. All monetary gifts - no matter how big or small - help us bring the arts into more lives. In person: by stopping by Art Center East: 1006 Penn Avenue, La Grande. We get it - you defy categorization. You're a complete original. We like that about you. Open-ended donations are an important source of support for maintaining and improving our facilities, funding our youth scholarship program, and a whole host of other tiny (but essential) expenditures. We'll put your generous gift toward our greatest need at the time of donation. Thank you for your support - it means much more to us than its dollar value. The Oregon Cultural Trust also offers you another opportunity to support the arts in a unique way. If you make a charitable tax-deductible donation to an Oregon non-profit cultural organization such as Art Center East, you can make a matching donation to the Oregon Cultural Trust for a tax credit. For example, if you owe $1,000 in state taxes and you make a $100 matching gift to the Oregon Cultural Trust, you would pay only $900 in taxes. Money donated to the Trust returns to Eastern Oregon in the form of grants and cash support for each county. 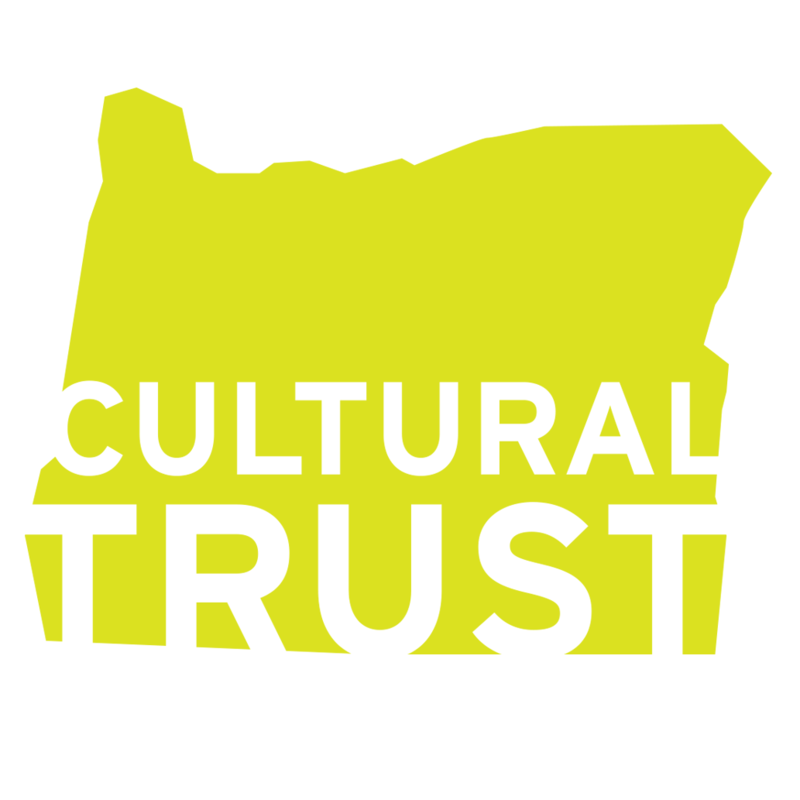 Donate to the Oregon Cultural Trust today! In 2016-17, Union County will receive over $9,000 in funding, which is administered by the Union County Cultural Coalition.